Do your kids just wish Halloween that came more than just once a year? There's nothing like dressing up like your favorite superhero or cartoon character that makes the day so much fun. So whilst these Fun Halloween Costumes for kids are ideal for Halloween fortunately, it doesn't have to be Halloween for them to be able to dress up. Fun costumes for kids will make everyday feel like that one spooky night of the year when everyone turns into someone or something else. Costumes are a great way to encourage creative play, imagination, and role playing. There are so many great costumes that kids can wear all year long that don't necessarily display a Halloween theme to them. These Halloween costumes are just as fun because you can wear them to parties, to school, on errands with mom, or while visiting family and friends on holidays. Let's take a look at some of the different types of fun costumes for kids you can pick up. Almost every child enjoys a classic cowboy and Indians play scenario. And having the right costume can make it even more exciting and realistic. 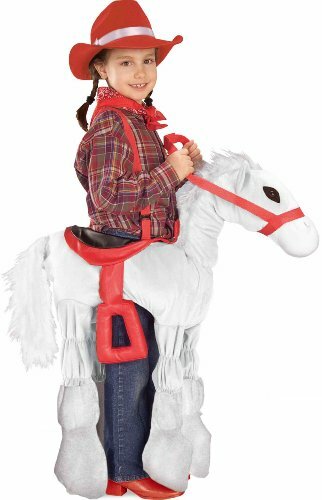 This ride a pony costume really lets you feel the horsepower that everyone rode back in the days. With this costume, it's almost impossible for the rivals to steal your horse especially since you're wearing it. This might not be a costume you would wear to the beach, or maybe it is just depending on how much you want to scare the swimming public into a frenzy. There's nothing like the sight of seeing a shark swallowing a person whole with the feet of the victim still hanging out from the shark's teeth like a piece of spinach. 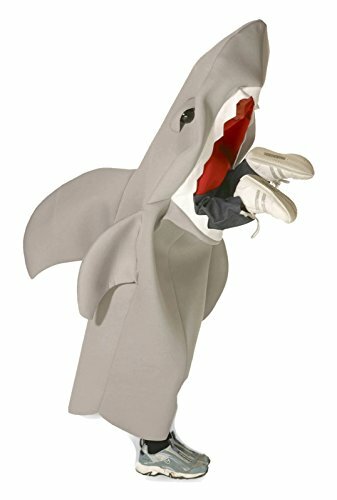 Be sure you wait an hour before swimming with this costume; an hour or longer because it may take some time to digest that human being. Children (and adults) can't get enough of this popular phone app game. Now you can literally become part of the high flying, pig killing, and structure demolishing action with your very own angry bird costume. 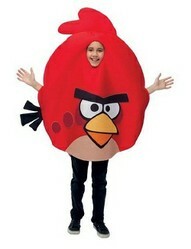 You can choose from the red, black or yellow Angry Birds. Children love games. In fact, they love them so much they wear them. 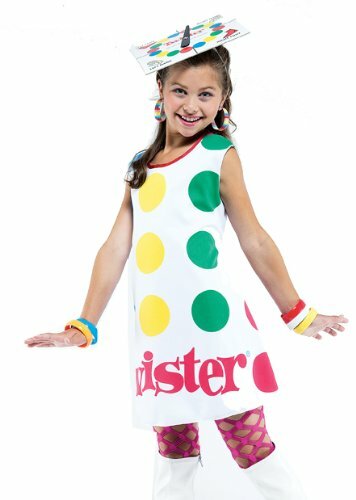 Dress up in your favorite board game or activity game with this Twister costume. It includes a spinner head accessory and a dress with the iconic twister mat design. Don't be surprised if people want to put their left foot on your blue spot or their right hand on your green spot while you're out in public. There's nothing girls like more than big guns and a six pack abs. Actually, there are a lot of other things girls may like more, but this would most likely be on the list of top ten. Don't let your age and small stature keep you from getting all the ladies. 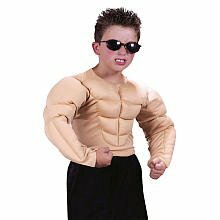 Just put on this padded muscle shirt and you'll soon have a physique that'll even have Arnold Schwarzenegger cowering like a true wimp! Will Your Kids Be Wearing A Fun Halloween Costume This Year?